Last week the Minnesota Orchestra announced the appointment of Erin Keefe, 31, as concertmaster of the orchestra, after a two-year search. She'll dive right in, starting with concerts this weekend. She replaces Jorja Fleezanis, who left at the end of the 2008-09 season. 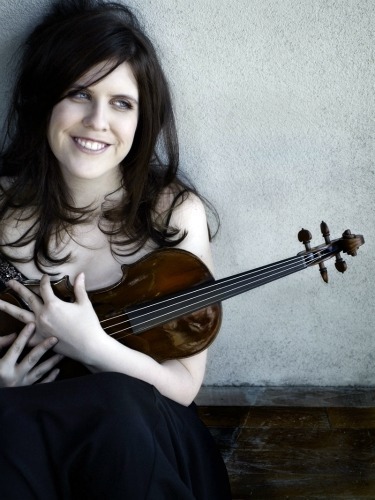 A native of Northampton, Massachusetts, Erin Keefe is the winner of a 2006 Avery Fisher Career Grant who also was a violinist with the Chamber Music Society of Lincoln Center during the 2010-2011 season. She has been featured on Live from Lincoln Center with the Society and performs regularly with both the Brooklyn Chamber Music Society and Boston Chamber Music Society. She studied at Curtis and Juilliard and currently lives in St. Paul with her husband, cellist Andrey Tchekmazov. It's been a tough week in Denver (btw my hometown), where two-thirds of the Colorado Symphony Orchestra's Board of Directors quit last week in the midst of tough contract negotiations. The Denver Post reporter Kyle MacMillan quoted one of the remaining board members, Young Cho: "Board members are sick and tired of the musicians' complaining," he said. Then again, it's hard not to complain about a five percent cut in pay, coming on the heels of a 24 percent overall drop in pay just two years ago. But I was heartened by this editorial in the Denver Post, which is worth reading in full, despite the scary headline, "A Requiem for the Symphony?" It's clear the community doesn't want that: "Even if you've never been to a Colorado Symphony concert — and by the way, why haven't you? — you still should be rooting for the orchestra to pull itself out of its recent tailspin…a world-class city needs more than beautiful scenery, an attractive climate and a full complement of professional sports franchises. It needs cultural amenities, too, including an orchestra with first-rate professional musicians." Are you a student, or do you have a student, with an interest in composing, and an interest in exploring many genres of string-playing? Strings Without Boundaries is accepting applications through Feb. 1 for its 2012 Tune-Writing Contest in Eclectic Styles, in partnership with D'Addario Strings. The winner will received a full-tuition scholarship to Strings Without Boundaries 2012, a workshop focused on the teaching and performing of string music — in ensemble settings — from a wide range of styles including traditional and contemporary fiddling, jazz, rock, blues, and world string ensemble. Next June at Duquesne University in Pittsburgh. Also, the winning tune will be arranged by Grammy-nominated Richard Greene (fiddle style); improvising violinist and author Julie Lyonn Lieberman (blues and world styles); author and jazz violinist Martin Norgaard (jazz); and improvising cellist/composer Matt Turner (rock) and performed at the workshop next summer. Erin is awesome, I'm so glad she got such a cool gig!